Why is Jeremiah Paul Disnard still locked up? Jeremiah Paul Disnard was arrested on April 2, 2008. He claims he was framed. According to a letter Friends of Justice recently received from Disnard, shortly after he was arrested drugs were planted on his person in the back of a Dallas Police Department (DPD) patrol car by the arresting officers (Officers David Nevitt, David Durica, Jerry Dodd, Frank Poblez, and Sgt. Randy Sundquist). According to Disnard, the patrol car had both a “dash cam” and a camera facing the backseat of the car. However, the officers testified that the cameras were “malfunctioning” at the time of Disnard’s arrest. Friends of Justice gets several letters making similar claims every week, but there is rarely anything we can do. Once a defendant has been convicted, uncorroborated claims are legally worthless. But Disnard’s case is different. His story follows a familiar pattern. According to his letter, the DPD officers wanted him to cooperate by setting others up for arrest. When he refused, he was told that they were going to “screw him over” if he didn’t change his mind. It’s hard to argue with this kind of logic, especially when the alternative to a 12-year deal is a 25-year stretch. Only after he was safely ensconced within the TDCJ gulag did Disnard learn that, at the time of his arrest, the officers involved in his case were under investigation by the Dallas DA’s office, the Dallas Police Department, and the FBI. Disnard insists that his defense attorney was never informed that the men on whose word the case depended were suspected of dishonesty. Several years back, Friends of Justice wrote a blog post about Sgt. Sundquist comparing him to Tom Coleman, the lying undercover cop in the Tulia saga. The old DA’s office ran according to the inherited dictates of win-at-all-costs prosecutor Henry Wade. They wouldn’t mind using a guy like Sundquist on the stand so long as nobody noticed. The new DA’s office is run by Craig Watkins, and Watkins does mind. Because Watkins minds the entire DA’s office is minding. 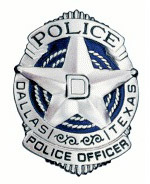 Because the DA’s office minds, the Dallas Police Department has little choice but to mind as well. In 1994, police investigators found, among other things, that Sundquist conducted an illegal search, lied to internal investigators and caused false information to be entered into an arrest report. The notice issued to then-Police Chief Ben Click stated that, due to his record, [Sundquist] should not be allowed to testify. For 15 years Sundquist continued to testify despite the notice issued in 1994. It is estimated that Sundquist testified 50 to 100 times between 1995 and 2009. In the mid-1990s, Sundquist and other patrol officers were known among prosecutors as the ‘Bushmen,’ a reference to the group’s fondness for hiding in bushes when conducting surveillance on suspected drug houses in South Dallas. ‘They’d see amazing things in the middle of the night with no lights, from far distances,’ she testified. Internal police investigators found that Sundquist had conducted an illegal search. They also concluded that Sundquist lied to them, finding among other things that he couldn’t have seen what he claimed to have seen when he said that a man was standing in a doorway with a bag of cocaine. After Sundquist was reinstated, he returned to his low-down ways. Headed by Sundquist, the same DPD squad involved in Jeremiah Disnard’s arrest came under investigation by the DA for its involvement in a faulty drug arrest case and a questionable drug search in 2009. In the course of this investigation, officer David Nevitt was suspended for 15 days for his involvement in the drug arrest case. Specifically, Nevitt “wrongly said a man was carrying a bag containing drugs and guns. That man spent 10 months behind bars until a videotape later showed that he was not carrying the bag as the officer alleged,” according to the Dallas Morning News. In addition, Officers Durica and Poblez were involuntarily transferred out of the squad as a result of the faulty arrest. Unfortunately, Jeremiah Paul Disnard has no video evidence proving that he was set up. Should it matter? When Tom Coleman, of Tulia drug sting infamy, was exposed as a liar, a racist, and a publicity hound in 2003, every case made on his uncorroborated word had to be tossed. How could you trust the man? As Judge Ron Chapman noted at the time, Coleman was simply not credible under oath. Neither are any of the men who would have testified against Jeremiah Disnard had he taken his case to trial. Ah, but Disnard accepted a plea offer. In Tulia, even those who accepted plea deals had their cases tossed. The same thing happened in Hearne and in the infamous Dallas Sheetrock Scandal, plea deals weren’t honored if the cops or confidential defendants associated with the case lost their credibility. Of course, those cases received high-level notoriety. When Jeremiah Paul Disnard went down, no one was paying attention. His case is typical; the others are highly exceptional. Disnard tells us that several lawyers have contacted him (and presumably every other defendant languishing in Texas prisons on the word of Sundquist et al). For a fee of between $5,000 and $15,000, attorneys would be happy to write a writ of habeas corpus for these unfortunates. Disnard can’t afford even these modest fees. You may be asking why an innocent man would take a plea deal. From a strictly logical perspective, taking the plea is often the best move an innocent defendant can make. Neither side of our adversarial system is going to investigate the case. And it’s true, when it comes down to a swearing match between a compromised defendant and a decorated officer, it ain’t no contest. Maybe Disnard is just using Sundquist’s disciplinary issues to get out of jail free. It shouldn’t matter. In cases like this, there is no empirical basis for taking anybody’s word. Both the defendant and the arresting officers have the same level of credibility–zero. One man has a string of drug-related legal issues; the other is a documented liar. The Dallas DA’s office should drop the charges against Disnard yesterday and reimburse him as if he were actually innocent. I can also say i am not a bad person and was set up by these detectives and on my inditment papers my complaintant Sunquist it states which was one of the detectives who threated me as well to ruin my whole chance in any having of a good career while i was 21yrs of age and yes framed by these detectives who asked me or intaragated me over and over trying to get info. from me on any possible leads they may get or any thing possible in getting me to set others up when i did not comply they locked me in a very small room for hours and confenscated my cel phone and copied it unlawfully with out my concent then hours later sent me down to lew sterit for booking with a man. and delivery charger of cont sub i am a american citisen and was born here in dallas manafac turing are you serious the ruined my life i am not at all a bad person and this has really destroyed me thanks so much only because i was not willing to comply i belivethey would do anything and as for disnard HE WAS FRAMED IN ALL I THINK HE IS INNOCENT AND SHOULD BE RELEASED HE HAS BEEN IN PRISON AND IS INNOCENT THE SYSTEM IS WAS WRONG TO ALLOW A INNOCENT MAN TO BE INCARSERATED THIS LONG WEATHER OR NOT HE HAS PRIORS OF OR NOT NO EXCUSE PEOPLE DO CHANGE YEAH EXSPECIALLY WHEN IT S OUT OF THERE CONTROL OR ARE DESTROYED BY PEOPLE LIKE SUNDQUIST . THATS ALL I HAVE TO SAY I COULD SAY ALOT MORE BUT I PUT A OTH ON MY ABOVE STORYS THAT ALL OF WHAT I HAVE SAID TYPED IS ONLY THE GOD S HONNEST TRUTH . THANKS AND HAVE A BLESSED DAY MEND……….